Watch a video introduction by clicking the image below. 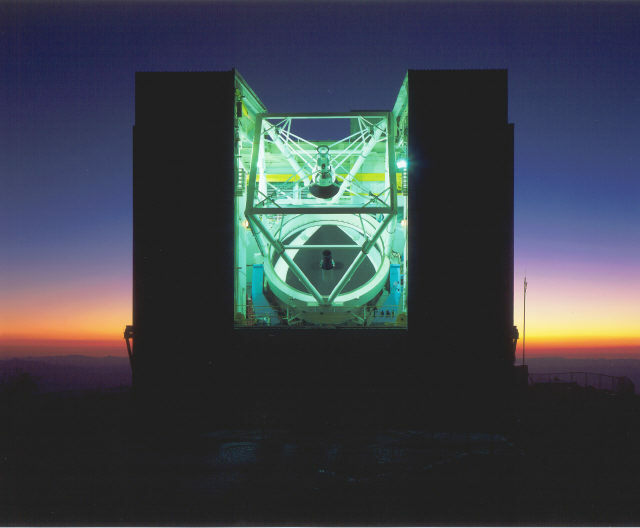 The 6.5-m MMT telescope is operated by the MMT Observatory (MMTO), a joint venture of the Smithsonian Institution and the University of Arizona. The MMT is located on the summit of Mt. Hopkins, the second highest peak in the Santa Rita Range of the Coronado National Forest, approximately 55 kilometers (30 miles) south of Tucson, Arizona. The MMT is on the grounds of the Smithsonian Institution's Fred Lawrence Whipple Observatory. Whipple Observatory also operates an administration complex and Visitors Center at the base of Mt. Hopkins in Amado, Arizona.